SOMERSET, N.J. & ST. PAUL, Minn.
SOMERSET, N.J. & ST. PAUL, Minn.--(BUSINESS WIRE)--Catalent Pharma Solutions and 3M Purification Inc., recently investigated a novel purification approach that significantly increased the performance of the mAb purification process by enhancing the efficiency of the Protein A column. The process resulted in a substantially pharmaceutically pure product immediately after Protein A elution. The global monoclonal antibody (mAb) market exceeded 80 Billion USD in 2013, and is predicted to top 100 Billion USD in 2015. To sustain this rapid market growth into the future, the biopharmaceutical industry requires increasingly efficient mAb purification processes from discovery to commercial manufacturing. To meet this increasing product demand, product titers are increasing, pushing cell culture density and duration to increase. These cell culture characteristics lead to higher contaminant levels which, in turn, can affect the efficiency of Protein A chromatography. Protein A will continue to be the primary capture step of choice due to its specificity and ability to yield pure product. However, the increased contaminant load can cause the purity of the Protein A eluate to drop from 99.9% to the 98-99% range. While the exact causes and mechanisms of the decrease in Protein A column performance are still a very active topic of research, high concentrations of chromatin in cell culture fluid has been suggested to be a major agent that interferes with Protein A chromatography, and acts as a precipitation catalyst at various stages of the process. 3M™ Emphaze™ AEX Hybrid Purifier, the first single-use chromatography purification product line introduced by 3M, is designed to help biopharmaceutical manufacturers achieve high product purity early in the manufacturing process because this can markedly improve efficiency and process economics. 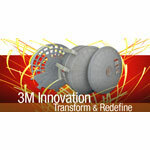 Three 3M core technologies — advanced polymeric materials, fine fiber nonwovens and porous membranes — are uniquely integrated into the novel purification media used in the 3M Emphaze AEX Hybrid Purifier. The result is an all-synthetic clarifying product line containing both a novel anion exchange functional nonwoven-supported hydrogel and a fine particle, bioburden reduction membrane. 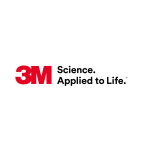 The 3M™ Emphaze™ AEX Hybrid Purifier utilizes the high capacity Q-functional hydrogel and 0.2 µm polyamide membrane to provide a high degree of soluble and insoluble contaminants reduction. When used at the clarification stage, it is capable of providing greater than 4 log reduction of DNA in the cell culture fluid often with throughputs over 400 L/m2. To decrease the chromatin content of the cell culture fluid, Catalent incorporated a 3M Emphaze AEX Hybrid Purifier capsule in the place of a fine grade depth filter in the primary recovery process. In this process position, the results were outstanding, including greater than 4 logs reduction in DNA and an increase in the efficiency of the protein A eluate pool to nearly injectable product purity. elimination of the polishing train in the cases where product aggregate content is sufficiently low and final viral clearance is not required. The 3M Emphaze AEX Hybrid Purifier attributes of robustness, scalability, and ease of deployment make this an excellent choice for enhancing your mAb purification processes.